Simply stunning. 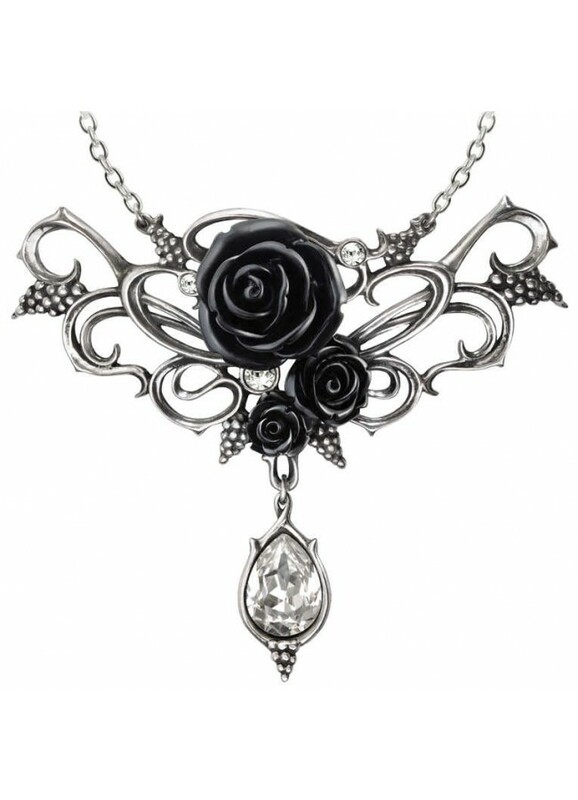 This black rose necklace is set on lovely scrollwork with a sparkling crystal drop for an elegant Victorian design. 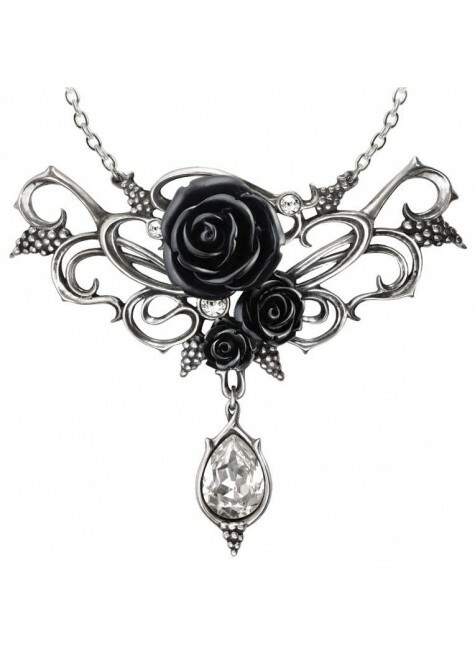 A sumptous necklace with a romantic motif of black roses set on pewter scrolling vines. A sparkly Swarvoski crystal shimmers in the drop to nestle in the crook of your neck. The central design is about 3.9 inches x 3.35 inches and is set on a 17.5 inch nickel-free silvertone chain with lobster claw clasp. Item Number: AG-P700 | Approximate Size (Inches): 3.90 wide x 0.75 deep x 3.35 high | Approximate Shipping Weight: 0.25 lbs. 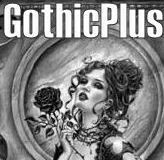 The Black Rose stud earrings by Alchemy Gothic are made from fine English p..
A romantic symbol of love eternal, the black rose studs have surgical steel..
Polishing Your Jewelry Pewter may dull or even tarnish over time depending on environmental factors and how often it is stored. It can be gently cleaned with a soft cloth or jewelry polishing cloth, but should NOT be cleaned with liquid or abrasive cleaners. Do not put in hot, salty water or dishwasher or submerge any pieces with an antique finish.